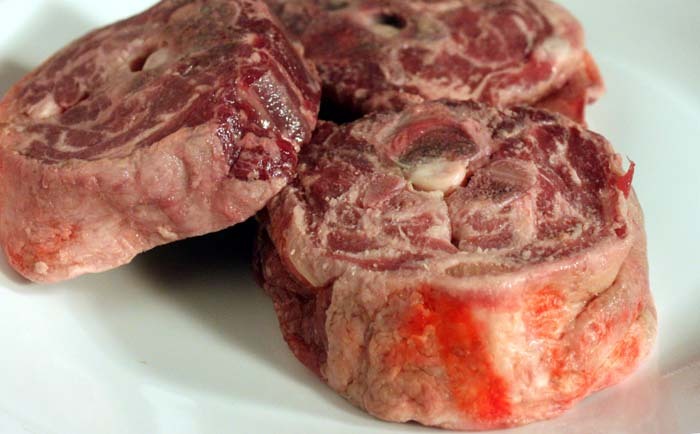 I don’t know where some of these things have been hiding, but lamb neck chops are another cut of meat I have only recently discovered. Here in Australia the biggest market for them is apparently as dog food. They are a bit fatty, although I’m not sure if some of the ‘fat’ isn’t collagen, perhaps someone can answer that question for me. 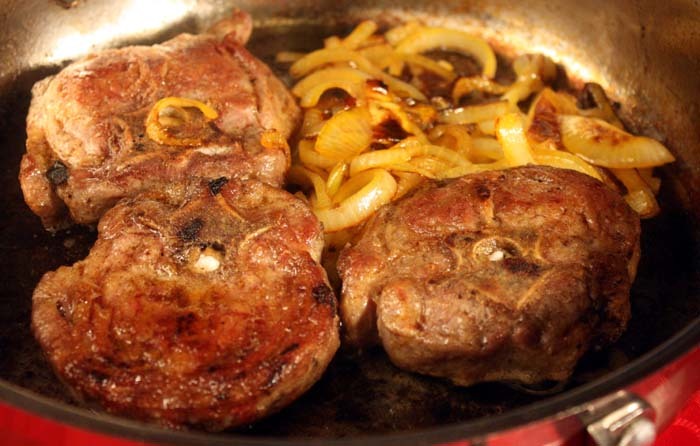 I started by lightly browning the chops in a pan with some onion. The yellowish colour is from using carotino oil, a blend of red palm and canola oil, which is quite new to Australia. I then added a little chicken stock and some thyme and boiled with a lid on for around an hour, by which time the stock had reduced to a tasty sauce. The meat could have been a little tenderer with a bit longer cooking time, but it smelled so good and made me so hungry……….. Served with potatoes, cauliflower and carrots and with a sprig of thyme, this made a delicious low cost meal. 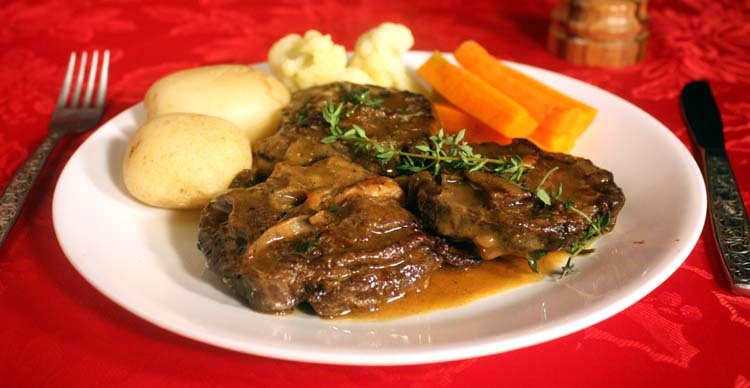 This entry was posted in Meat dishes and tagged chops, cooking, food, lamb, meat. Bookmark the permalink.